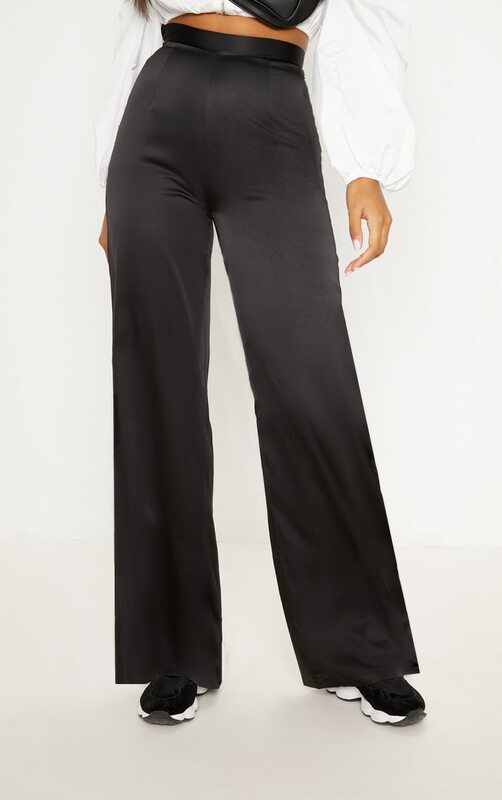 Girl we are loving these trousers for any occasion. 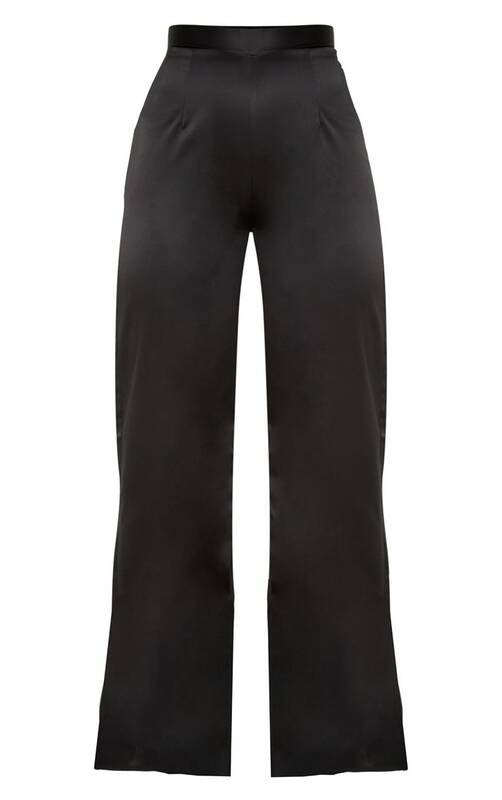 Featuring a black satin material with a zip fastening and a wide-leg fit. Style these trousers with a crop top and complete the look with a bum bag and silver accessories.